Whether you are looking to try a delicious new restaurant, have a pint with friends, or hear some live music and enjoy a night on the town, you will find everything you are looking for and more in Ottawa’s ByWard Market—the epicentre of Ottawa’s ever-evolving nightlife. With so many great spots to choose from, this guide will help you determine the hottest spots to check out, and experience the very best that the ByWard Market has to offer. Looking to experience a true taste of Ottawa? Elgin Street is one of the liveliest, most versatile streets in the city. With bars, clubs, restaurants, and patios together in one walkable street located just beside City Hall and the Rideau Canal, you are sure to find the perfect place to grab a drink with friends or dance the night away. Can't decide where to go? Check out our guide to the hottest spots on Elgin Street! Westboro is known as one of Ottawa’s trendiest neighbourhoods, with a dining scene to match that reputation. Home to some of the most unique and exciting tastes in the city, Westboro offers a variety of cuisine types from around the world. See for yourself what all the hype is about by checking out our list of can’t-miss dining hotspots in Westboro, and you may find yourself coming back for second helpings! Take a stroll down Preston Street in the heart of Little Italy, and you find yourself overwhelmed by the many mouthwatering options for a fine Italian meal. 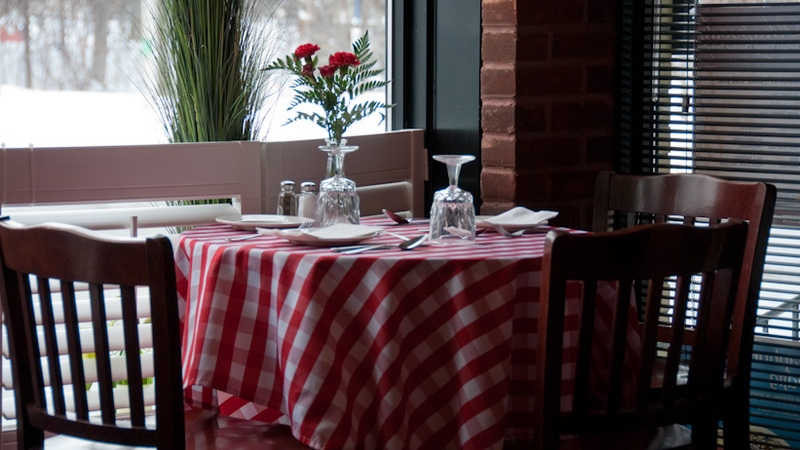 Whether you are looking for pizza, pasta, or something less traditional, you are guaranteed to experience a true taste of Italy right here in Ottawa! Check out our list of suggestions and discover all that LIttle Italy has to offer. The Glebe is known as one of Ottawa’s most upscale neighbourhoods, so why not try some of the most sophisticated tastes in the city? Meander through the scenic Glebe neighbourhood and you are sure to find something delicious no matter what you are in the mood for. Once you've worked up an appetite, check out our list of some of the best dining gems in the Glebe. Only a short distance from Canada’s capital city is the vibrant suburban community of Kanata. This bustling region boasts a lively nightlife scene with energetic nightclubs, plenty of family-friendly activities, and many restaurant gems to choose from. 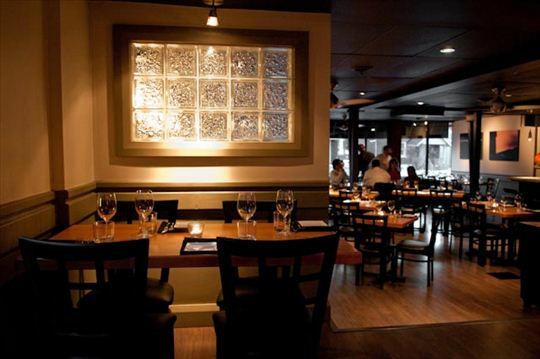 Take a look at some of Ottawa Food’s top picks for your next Kanata dining experience. Barrhaven is a rapidly growing suburban neighbourhood in Southwest Ottawa which boasts a very vibrant and lively dining scene. If you are looking for a casual bite with your friend, a romantic night out with your significant other, or a nice family dinner, you are sure to find a great restaurant to accommodate you in this booming neighbourhood! Hintonburg is a rapidly emerging neighbourhood in Ottawa that has recently had a great number of new restaurants, cafes, bars and pubs open up. Take a stroll through Hintonburg to take in the community's rich art culture and enjoy a meal out at one of the many fine dining spots! Located in East end, Orleans is a vibrant, fast-growing suburb of Ottawa that blends urban living with a rural attitude. Travel to Orleans, a little ways away from tourist-focussed areas and try some hearty, local cuisine at one of the many fine restaurants of Orleans. Whether you're looking for a romantic dining destination or for a casual spot to get together with friends and family, it's all here within the Orleans restaurant listings.